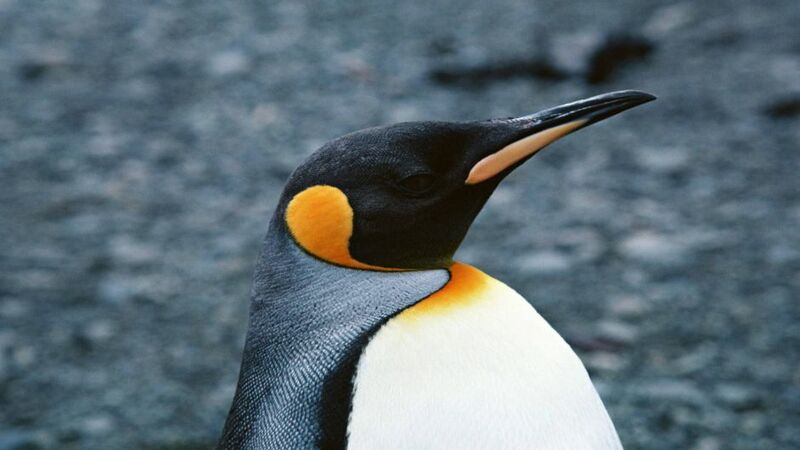 It is black on their dorsal gray plumage and yellow area below; neck blue-gray and orange patches on the ears; The bill is long and slightly curved at its end; the legs are brownish and feathered until half. They have a thick layer of fat under the skin, in turn covered by a dense woolly surface on which to grow feathers waterproof capability. 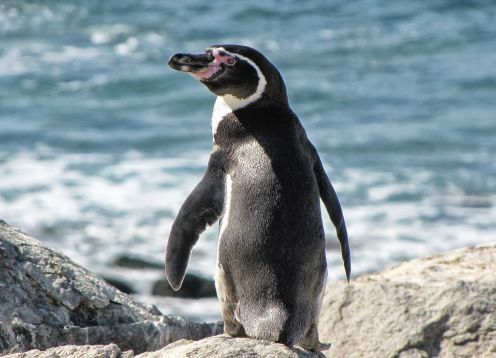 These features make it the best penguin adapted to survive in the Antarctic Continent. 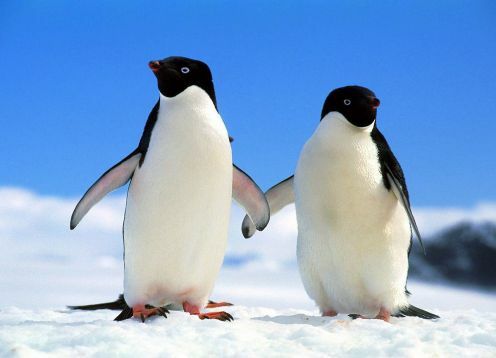 Males and females are indistinguishable until just over a year. 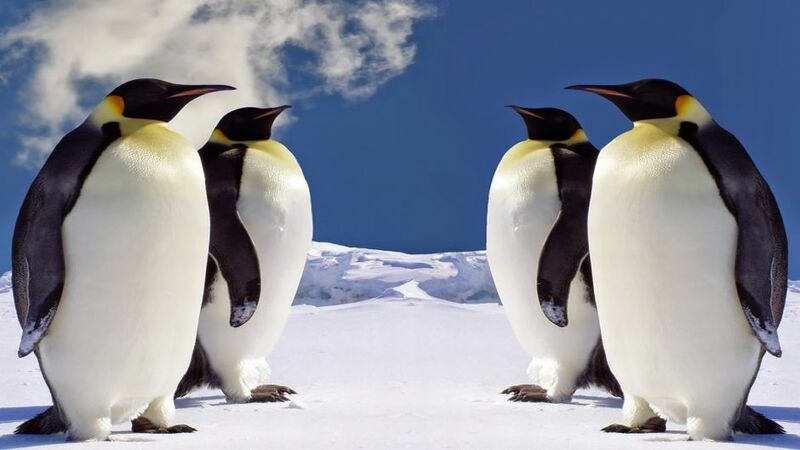 When the time comes that they exchange their responsibilities breeding, the male can weigh half female. Chicks are easily identified. 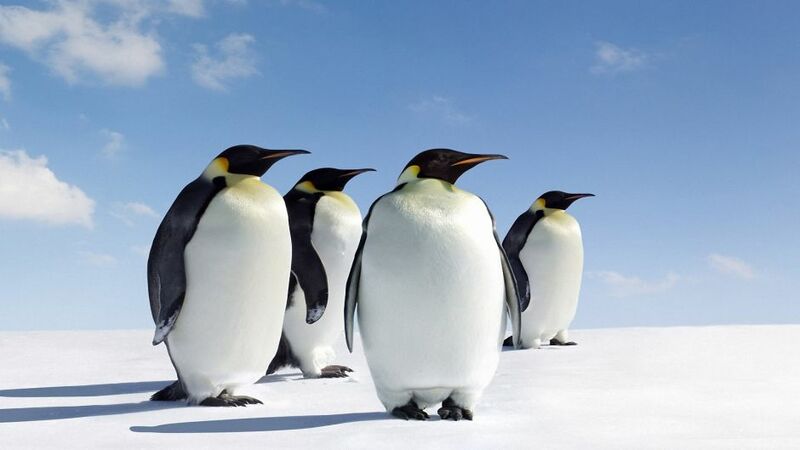 The Emperor penguin is the only one who inhabits the Antarctic continent, although found throughout the Arctic Circle; stable around 220,000 individuals roam the ice shelves and icebergs used as shelter. About 45 colonies around the continent are accounted about. 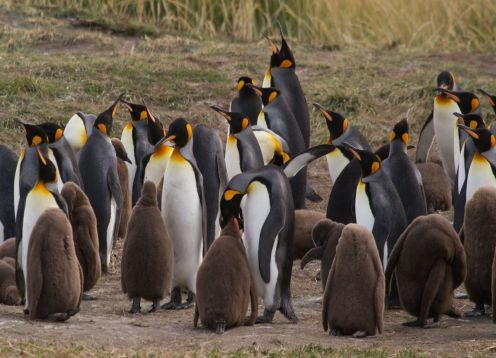 About a couple dozen Emperor colony outside of Antarctica, in remote islands off the coast are known. A world population of some 240,000 people are estimated. Emperors eat mostly fish and squid, but do not reject the small crustaceans that may be in your path. 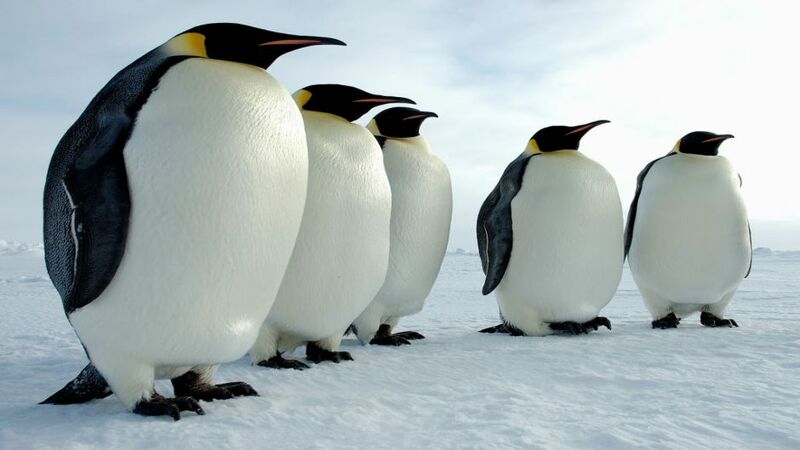 Emperor penguin predators are orcas and leopard seals, but the giant eggs and hatchlings often fall prey petrels. 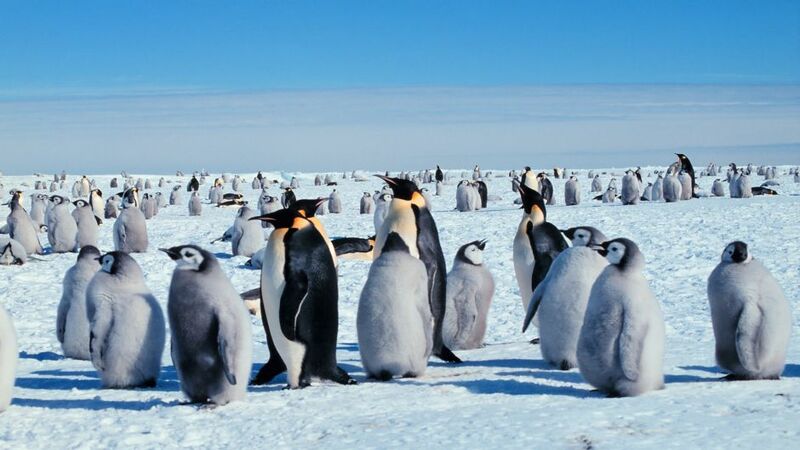 Emperors congregate at breeding colonies in early winter, shortly after the sea ice has formed. 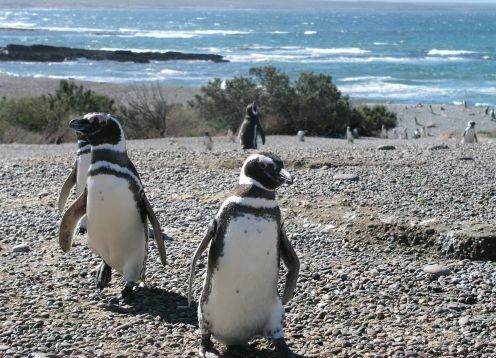 Spawning takes place in May or June, thus taking advantage of the short summer to come for the chicks reach maturity. 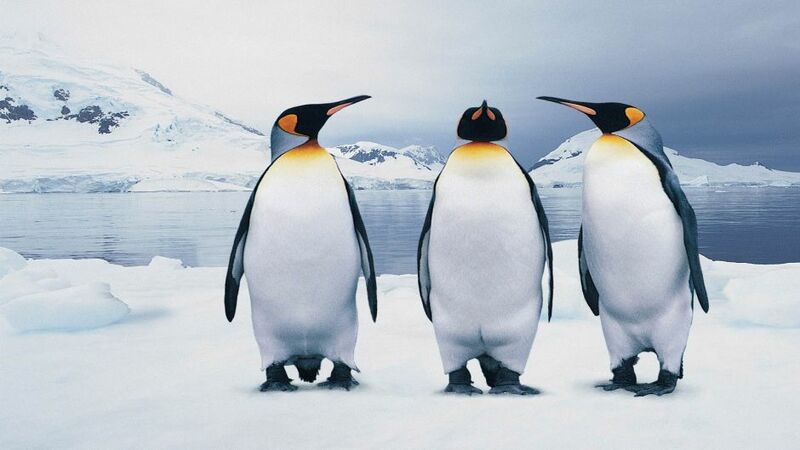 Most penguins usually put two eggs; Emperor female lays only one. The energy that the Emperors should invest in ovulation, and start breeding, represent overspending, so maintain a superior offspring would be an unviable practice. No single nest and egg is incubated only by males, resting on its feet to keep from touching the ice and protecting it with its lower ventral plumage, while swirling in a circle between them to keep the heat; it should be noted that incubation occurs during the long cold winter months, with temperatures often exceed 40 degrees below zero; in the center of the group temperature can be as high as 20 ° C.
During winter the female part goes to sea to feed, returning to the colonies at seven or eight weeks of the start to relieve the male and monitor shell breakage. 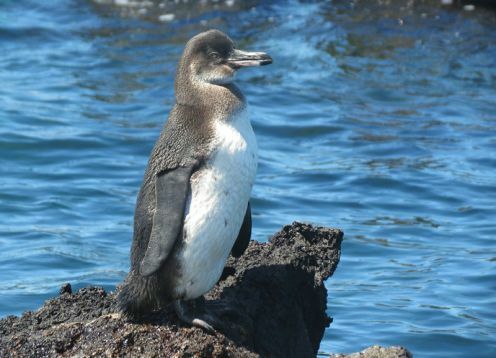 At first the chicks grow very slowly and more quickly in late spring, becoming independent when summer is reached.